Euthanasia methods are designed to cause minimal pain and distress. Talk to us about pet euthanasia long before it becomes an issue. Find out about your options, make some key decisions ahead of time, and ask us to add this information to your pet's chart. Taking the time to plan, as challenging as it may be, will lessen the pain and discomfort for you and your pet in the event this option ever has to be considered. All of us at Noank-Mystic Veterinary Hospital will help you prepare for these important issues with the compassion and sensitivity they require. We also offer at-home euthanasia on a case by case basis. 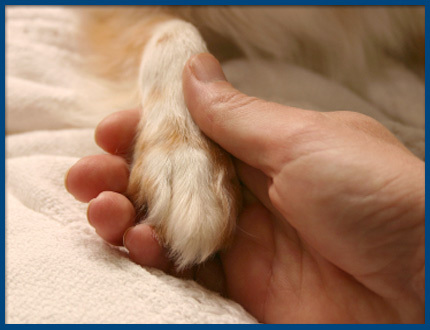 We provide caring and ethical pet cremations.